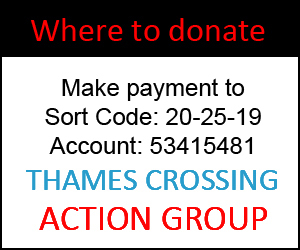 Find the answers to some of the most frequently asked questions we get a group regarding the proposed Lower Thames Crossing. 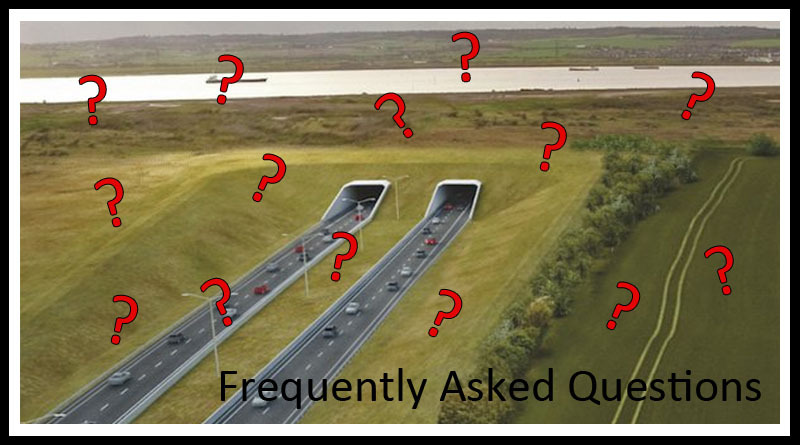 Where does the preferred Route C3 go through Thurrock? How will it impact me? Click here to take a look at the Red Line Maps to see how Route C3 impacts Thurrock (update July 2018). 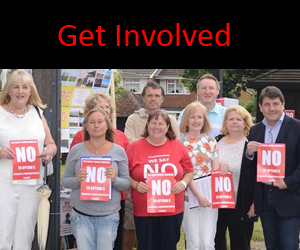 Air and noise pollution – Pollution is already terrible in Thurrock C3 will just add to it, creating a toxic triangle in the borough. Extra traffic in the area, we already get people cutting through the borough if there are issues with the current crossing, with C3 it would just encourage more cut throughs. The current crossing issues that we are all aware of, not being resolved by Option C3, traffic will have increased by the time C3 is finished to the extent that the current crossing will still be above full capacity once C3 is built. How much traffic will Route C3 take away from the current crossing? Highways England’s own figures state that C3 will take 14% of traffic away from the current crossing? Are there any alternatives that ease congestion on the current crossing better than C3? What is the alternative route Option A14? Click here to take a look at details of route Option A14. The basics of it are that it would be a tunnel from around Junction 2 on the M25, that surfaces between Junction 29 and 30, completing the M25 as a full motorway orbital. It would take away at least 40% of traffic from the current crossing, blighted houses and impact on greenbelt would be minimal, and pollution would be improved as all tunnel air would be filtered. Why have they chosen C3 rather than A14 then? Our opinion is C3 has been chosen as it opens up the area for land grab, housing and development, which A14 does not. Thurrock Council are set to build at least 30,000 homes in the borough over the next 20 years. What can we do to stop C3? At this stage C3 is only the proposed preferred route, it has not yet been given planning permission. Following on from the informal consultation in 2016, there will be a statutory consultation in Autumn 2018 in which members of the public can take part. The previous consultation had an unprecedented amount of responses, we need to ensure that even more people are prepared with the facts and take part in the next consultation. What about pollution levels that are already too high in Thurrock and how the proposed route will impact future pollution levels? We need to ensure that as many people as possible are aware of the facts regarding the crossing, and that it isn’t a done deal. Following on from the informal consultation in 2016, there will be another statutory consultation in Autumn 2018, and that we need to work together against any Lower Thames Crossing in Thurrock. There are also details of who you can write to here if you wish to! The group is made up of local resident volunteers. Whether it’s helping leaflet your area when needed, or legal advice, if you feel you can help in anyway, we’d love to here from you! Get in touch here! We hope this list of FAQs, alongside the rest of the website, helps to answer any questions you may have. If not then pop over to our Facebook Group and ask away!